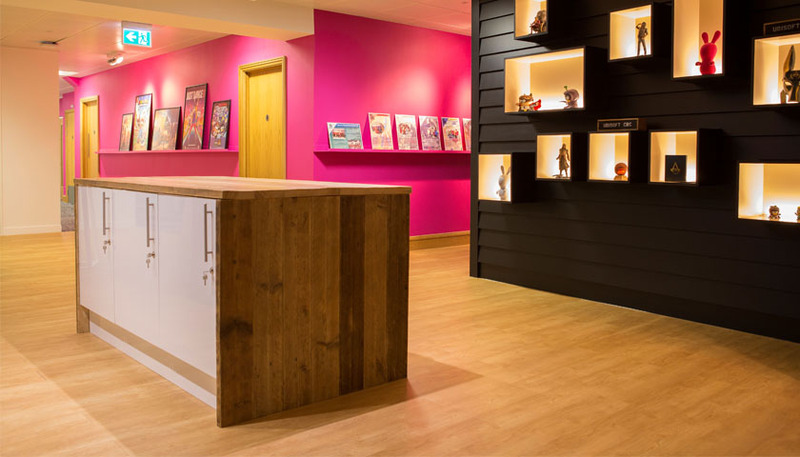 Polyflor Expona Simplay offers speedy vinyl tile flooring solution for Ubisoft office ..
Expona Simplay loose lay luxury vinyl tile flooring from Polyflor has formed part of a creative working space for video game developer Ubisoft’s office in Newcastle-upon-Tyne. Installed by Monument Flooring based in Gateshead, 186m² of Expona Simplay PUR tiles in the American Oak design features in meeting rooms and communal areas at the Ubisoft office, where developers create popular games such as Assassin’s Creed, Tom Clancy’s The Division and Watch Dogs. The American Oak design is a classic oak with bevelled edges that perfectly complements the office’s bright, bold and modern interior design scheme. Quick to install, these loose lay tiles were the ideal choice for fitting alongside carpet tiles which were used in other areas. To find out more about Vinyl Tile Flooring by Polyflor please click here.